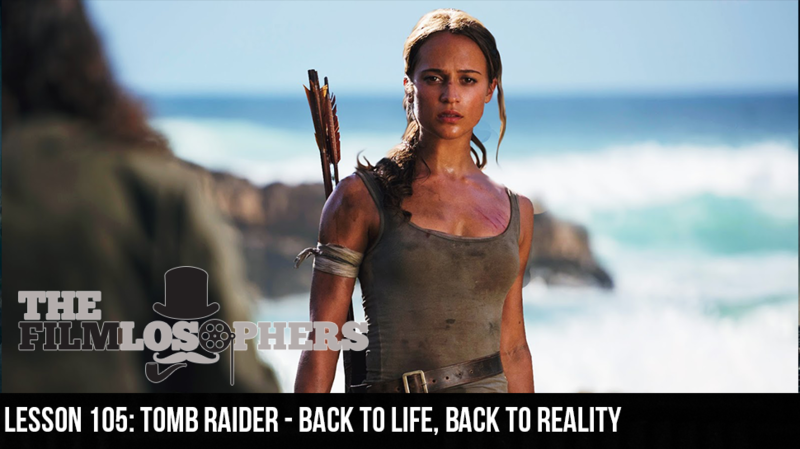 The Filmlosophers, Eddie Villanueva, Chad Riley and Spencer Williams, welcome VideoGameBANG host David Webb for a little wave riding and cave diving in this week’s review of the reinvented Tomb Raider (2018). Adapted from the most recent video game from which the franchise gets its name (and fame), the film stars Alicia Vikander, Dominic West, Walton Goggins and Daniel Wu. Vikander reimagines the role originally brought to the silver screen by Angelina Jolie, prompting many skeptical fans to wonder whether this new interpretation will face the same creative challenges of the previous two films. In movie news, we spend a few minutes discussing the new Avengers: Infinity War (2018) trailer.